These rectangular projecting signs are made from 19mm thick rigid foamex. They are also supplied with a beautiful black painted scroll bracket. These projecting signs are made from 19mm thick rigid foamex. The panels themselves are supplied in white, however they can be painted black, grey or green for £30. Alternatively the panel can be laminated in a single colour of vinyl (£24) or full colour vinyl with the edges black at the cost of £15. The panel can be left blank, have vinyl lettering applied or be laminated in full colour digital vinyl ie business logo. 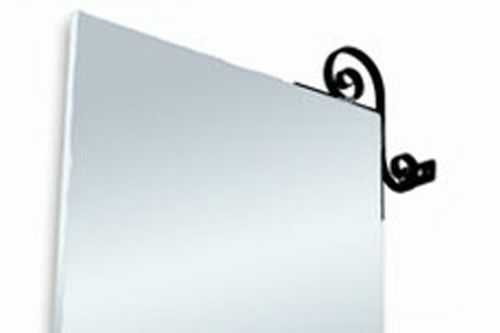 A scroll bracket is provided with the panel, they are made from a heavy duty construction steal and then painted black. NB. Single colour vinyl has double the lifespan of full colour digital. To increase the lifespan of full colour digital vinyl we can laminate at a cost of £24. If you do not want a foamex panel, we can provide you with a tricoya board instead, please contact us for a quote.